I was surfing through TED website last evening. There was one talk that grabbed my attention and the headline read “Bill Doyle: Treating with cancer electric fields”. Doyle’s company, Novocure has found a fourth type of cancer treatment using electric fields. He touted that this could be the fourth form of cancer treatment This electric fields treatment could possibly be used by oncologists’ in addition to the traditional modern medicine to treat cancer we know today – surgery, radiation and chemotherapy. During the presentation, there was a video clip where one see how cancer cells regenerate at a rapid rate. This is the first time I have ever seen. From my understanding and in layman’s terms, the electric fields has the same result to that of chemotherapy whereby the electric fields prevents the cells from doubling. The first set of clinic trial using this method was with brain tumor. The end results after 12 months was positive. In some patients, the tumor was gone. A great sign. The way the electric fields kill off the cells is using “patches” with wires attached to a battery pack. The patches and battery pack is with the patient 24/7. Although it is may seem cumbersome to carry the pack, it does allow the patient to gon with their daily lives with minimal problems. The positive side of electric fields is no side effects such as fatigue, nausea, diarrohea found in chemo. To me, that is music to my ears. The US FDA has approved this treatment but at this stage it is still in its infancy. Novocure is looking to test the treatment on lung cancer patients and slowly rolling out to other forms of cancer like breast and ovarian. I am going to track the development of this treatment. I find it always good to know what treatments are available for me. Here is the link to the presentation Bill Doyle: Treating cancer with electric fields. Gosh where has the time gone. One week has zoomed at a blink of an eye. After the wait and see approach and taking iron tablets to address my anemia, it was time to get another blood test done to decide if I am medically fit to go ahead with round 3. Aside from the haemoglobin the other key indicator the oncologist is hoping to see some improvements is my white blood cell count. I kept my fingers crossed while I waited patiently for the results. In the meantime, I fed my tummy with a nutella and banana sandwich for breakfast. An hour and half later, the results are back. There was good and bad news. First, the good news is that in 5 days, my haemoglobin level increased and fall within the “normal” category. I was no longer anemic. The bad news is that my white blood cell count specifically the polymorph level has not changed from last week – this is also known as leukopenia. With low white blood cell count it means that my body is not as strong to fight off any infections. So what does this mean? My doctor said that I have 2 options. Option 1: go ahead with the chemo session with the same dosage but I would have to inject myself with Neupogen, is a man-made form of a protein that stimulates the growth of white blood cells in your body. Option 2: Wait for another week with the hope that the white blood cells improve. I did ask if I could eat or do something to help. Unfortunately, there is very little I can do in this case. Should I wait a little longer to do chemo, there is a possibility that I may encounter some cramps in my stomach because the cancer cells are working their way into my guts. Not a pretty picture and nor do I want to wait and see if the pain comes back. With no other obvious symptoms such as pain or discomfort, there wasn’t anything to prevent me from continuing with the treatment. Since I am not keen to have any stomach cramps, I chose the first option. I would rather have the injections. By now my body is attuned to receive the chemo and most of the common side effects are manageable. One of my least side effects is the nauseous feeling. Despite the anti-nauseous medications I am given prior to each chemo session, it still lingers around for 4 to 5 days. I hate it! It is having the hangover feelings without the alcohol. Somehow, I fought the feeling and survived it. I have officially completed a quarter of my treatment. Hooray! Today is my scheduled day for the 3rd round of chemo but it just didn’t happen. 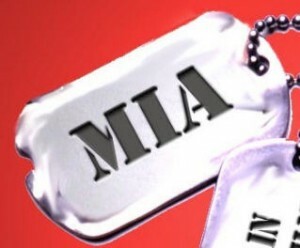 The reason lies within my blood. Yes, my blood test result is the determining factor if I my body can cope with chemo. In my case the 2 key criteria that was the show stopper are my haemoglobin and total white cell count. My oncologist asked if I am including red meats or other good sources of iron. Since my last hospital visit and based on dietitian’s advice, I have kept to a low fibre diet. Mind you I have consumed more fish and white meats like chicken and pork. I only eat red meats maybe once in a fortnight. I do take iron supplements on a daily basis but it seems that it is not enough. My doctor says that I should be consuming at least 200mg of iron per day. I just checked the over the counter iron supplement and the real dosage of iron is 18mg plus 10mg of iron in my multi vitamins . In total I am only consuming 14% of the recommended daily intake – yikes. Here I am thinking that other iron in the natural foods that I take should be enough. I guess not. This is not the first time I have been told that I am iron deficient. Hence, I self prescribed to take store-bought iron tablets. As of today, my doctor has prescribed higher dosage of iron tablets to take over the next few days to boost my levels. Of course the alternative is to eat more red meats like beef and liver. Isn’t that a great reason to go out and eat a thick slice of delicious prime roast.. Ha! As for the total white cell count, it was one particular cell called polymorphs that was particularly low. Based on my understanding it is this polymorphs in your body that fights any infections or bacteria. The blood test indicated that it is below the normal range. If my doctor proceeded with the chemo, she has to administer a lower dosage of the drug which means less effective to kill the cancer cells. It also means that I maybe more susceptible to catching infection post chemo. The doctor strongly suggested that to postpone the treatment a few days after taking the prescribed iron tablets. 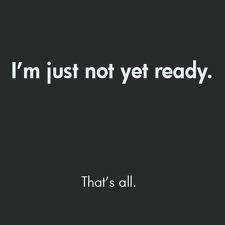 This is the first time in my chemo treatment plan where I had to wait for a few days till my body is ready. I rather be safe and have the drug work effectively. Wednesday, 13 July is the D Day. My body will be ready then. At the blink of the eye and it is 2 weeks ago that I started round 1 of chemo. I have been awake since 6.30am and taking my time to get ready. Pottering the kitchen preparing my simple egg and cheese sandwich for breakfast later. There are 2 essential items that I must bring with me to each chemo session. First is my red heart-shaped stress ball to squeeze each time I get poked by a needle. This is the same stress ball I use to “exercise” my veins. The second most important item is my iPad. It takes 2 hours to administer the drug and what a better way to occupy my time by either reading a book or catch up on my favorite TV series. Most likely I will do the latter. 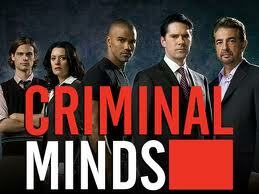 At the moment I am watching the last few episodes of Criminal Minds (Season 6) – one of the great psychological crime shows. My niece loves the show too but her primary reason is because she likes the actor Shemar Moore. She finds Shemar “so cute” and I kinda have to agree with her. 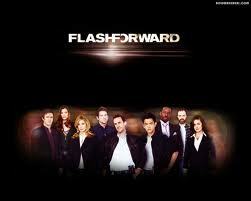 The second series that was highly recommended by friends is Flash Forward. I have only watched the first episode and I do like the story line. It’s 9am. Time to sign off for now and leave the house for the doctor’s.